This large 44mm. 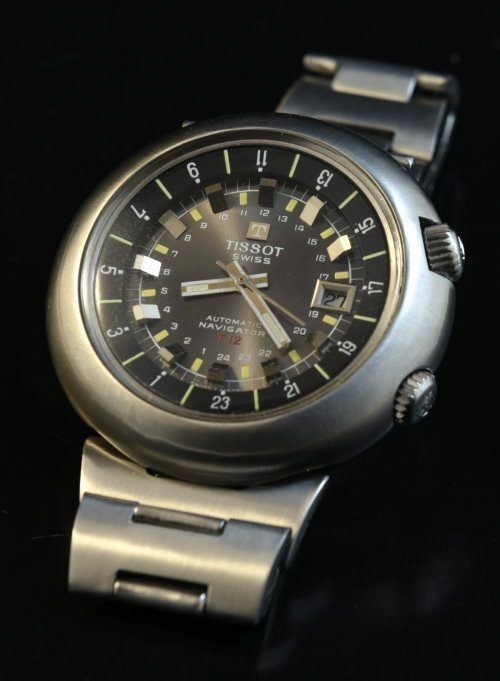 TISSOT NAVIGATOR in stainless steel appears near pristine! the original steel bracelet is also very clean. I love the pewter dial with yellow accents. There is some aging to the dial that is NOT detracting. The automatic winding movement was just cleaned and is accurate. Just $995.